‘Tractor of the Year’ is one of the most prestigious awards within the industry, recognising innovation, technology and performance. This is a milestone in the brand’s history as it’s the first time Valtra has won the main award of the competition. "Valtra sets a new standard in intuitive operation; the tractor in general offers high level of comfort, performance, efficiency and versatility," the jury says. "The standard fitted SmartTouch armrest with the 9-inch touch screen, the intelligent multi-use drive lever and the new hydraulic joystick give the best and most straightforward user interface in the industry. "It allows the driver to control and adjust almost any setting of the engine, transmission, hydraulics, AutoGuide, telemetry, etc. As a matter of fact, it’s a new way of working with the tractor terminal." SmartTouch further enhances driving with the powershift transmission, making it possible to drive like a CVT tractor. With a maximum output of 271hp, the T254 Versu is the most powerful model in the T Series. Continuing about the model’s Best Design award, the jury says: "It’s amazing how a brand can change [looking 10 years back], when the right designers take care of the style. Valtra Versu T254 with SmartTouch represents a very cool-looking, modern and elegant tractor." 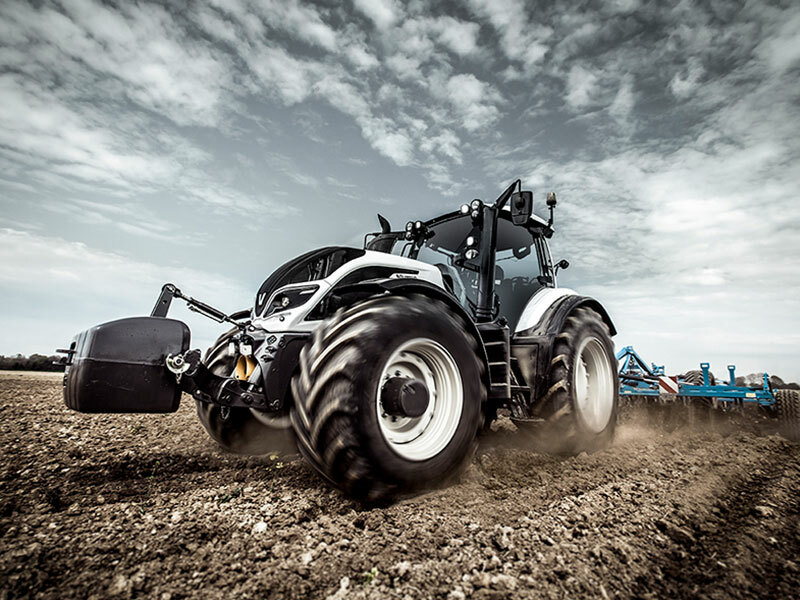 Valtra marketing director Mikko Lehikoinen says the T254 demonstrates the company’s continuous development work focusing on reliability, ease of use and intuitive solutions "so that farmers can enjoy working with Valtra products and get the maximum benefit from the rapidly developing technology". The latest model of the T Series, Valtra’s T254 Versu was launched in June this year and customer deliveries commenced in August. Paul Morris, Valtra product manager at AGCO Australia, says the brand is "proud to have received this award and have the T254 model recognised for its impressive design and features, which we feel will be a real benefit to local farmers". The new model is expected to arrive early in the new year.